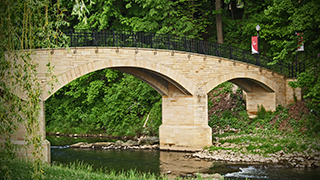 At Grove City College, we believe in higher education for a higher purpose. That’s why everything we do is founded on three essential pillars: A rich academic tradition, an amazing value and a Christ-centered community. Today we continue our founders’ vision by providing a classical liberal arts education with over 50 programs of study and a core curriculum that gives students a comprehensive worldview. Our graduates are well prepared to excel and lead in their professions and communities.